Mercy joined the project in 2000 because her four children were very malnourished. She heard that by incorporating different legumes into her children’s diet, their health would improve. Shortly after she joined, her husband passed away, and as a 35 year old woman, she was very worried about being able to afford fertilizer. 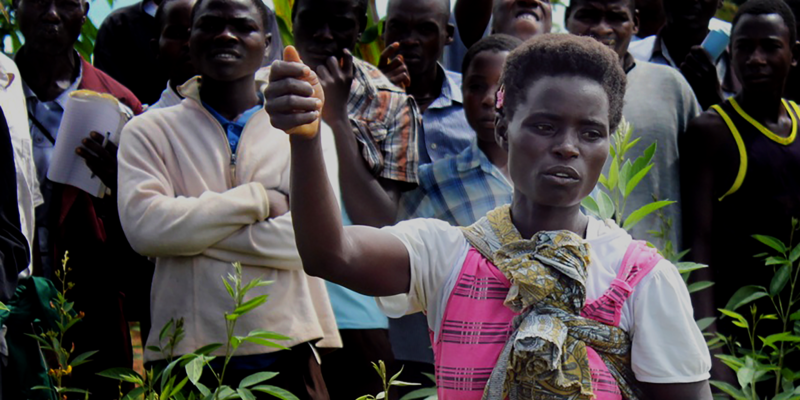 She was extremely grateful to have learned how to bury the legume residues; before, she needed fertilizer for top and base layers, but now that she buries the residues she only needs to buy one enough for one layer. Using these organic methods, her soils have improved significantly, and she now grows enough food to last her family throughout most of the hungry season. 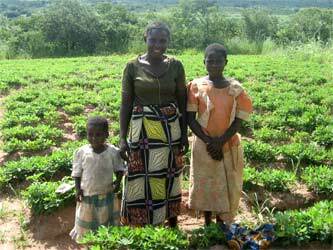 Her children enjoy the legumes, and look forward to eating soy and peanut porridge in the mornings! Mercy says that her children are much stronger now and that she no longer worries about their nutrition. Mercy’s fields are thriving. During the past few years, she has multiplied her seed and shared it with her friends and family who are not as food secure as she is. In addition, she has produced a surplus of soy and peanuts, which she sells in order to buy soap, salt, and cooking oil, and to pay for her children’s school fees. She is hopeful for the future, and looks forward to continuing to learn from the project.